NFL star, Terrell Owens is grateful of his stardom and attributes fame to his grandmother. Because she raised Terrell, she was the one responsible for his love of the sport. Alice Black was diagnosed with Alzheimer’s Disease during Terrell’s first NFL season, 14 years ago. Mr. Owens stated, “It’s like she is dying a slow death.” Unfortunately, his grandmother will never know how he has thrived at the sport and no longer recognizes her grandson. 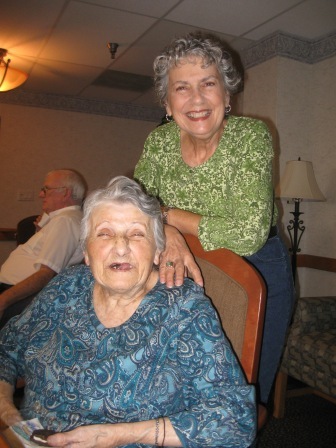 Terrell spreads awareness of Alzheimer’s Disease by participating in Memory Walks to raise money for reasearch. He has also appeared in several public announcements regarding the disease. Several years ago he testified before Congress to increase federal funding for research. At the ago of 76, Alice Black is now residing in a nursing home down south, where her communication skills have diminished . Terrell wishes very much his grandmother could share his achievements with him and to thank her. 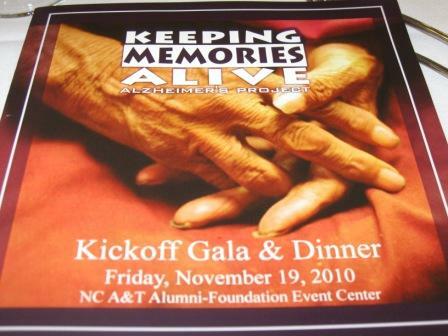 An Afro-American Alzheimer Research Study is being conducted at North Carolina Agricultural and Technical State University, Keeping Memories Alive. They are looking for participants, click here. 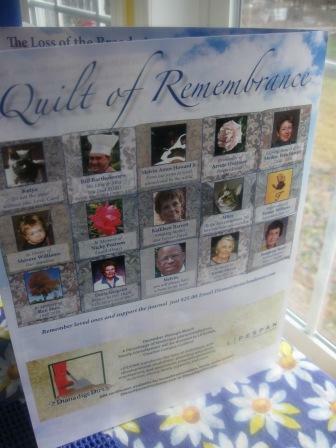 If you would like a loved one honored on our Quilt of Remembrance, in full color print within Just a Cloud Away, Inc. Journal, please click here. We will gladly mail copies to you and your family. Join the Alzheimer’s Association Walk to End Alzheimer’s™ and unite in a movement to reclaim the future for millions. With more than 5 million Americans living with Alzheimer’s, and nearly 11 million more serving as caregivers, the time to act is now! When you register for Walk to End Alzheimer’s, you’re joining an unstoppable force of thousands of people who are standing up to this devastating disease. Register. It takes just a few minutes online. Start a team. Participating in Walk to End Alzheimer’s is even more fun with a group. Ask your co-workers, family and friends to walk as a team. You’ll be amazed at how many people want to help. Fundraise. Every Walk to End Alzheimer’s participant is asked to raise money for the fight against Alzheimer’s. Alzheimer’s Association staff are ready to support you every step of the way with tips, tools and advice. Get Creative. Raise money with our online tools, hold a fundraising event or ask for a donation when you’re face-to-face. Walk! Walk to End Alzheimer’s is a unique experience. See the difference you can make as we walk to change the course of Alzheimer’s together. Walk to End Alzheimer’s is the nation’s largest event to raise awareness and funds for Alzheimer care, support and research. Since 1989, this all age, all-ability walk has mobilized millions to join the fight against Alzheimer’s disease, raising more than $347 million for the cause. Events are held annually in the fall in nearly 600 communities nationwide. All Walk to End Alzheimer’s donations benefit the Alzheimer’s Association, the leading voluntary health organization in Alzheimer care, support and research. The mission of the Alzheimer’s Association is to eliminate Alzheimer’s disease through the advancement of research; to provide and enhance care and support for all affected; and to reduce the risk of dementia through the promotion of brain health. choosing a reputable facility specializing in Alzheimer Care. 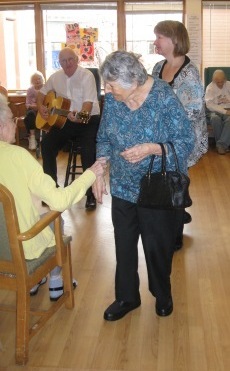 One of the top Alzheimer Care facilities in the Buffalo, NY area is Harris Hill Nursing Facility, not because of one of my family members resides here, but the various activities, parties and projects offered. 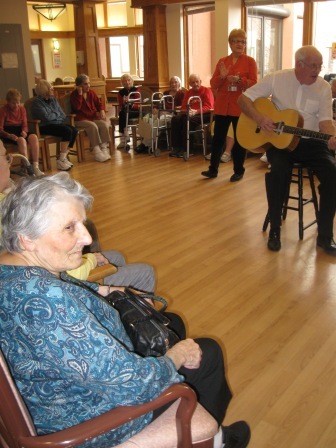 For Alzheimer patients who are aware of their surroundings and have the desire to feel needed, activities are crucial on a daily basis. 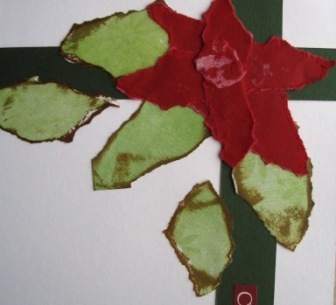 Activities range from tactile (papercrafting, repetitive projects), audio (singing, listening to story-telling or music), physical (gardening or house keeping). 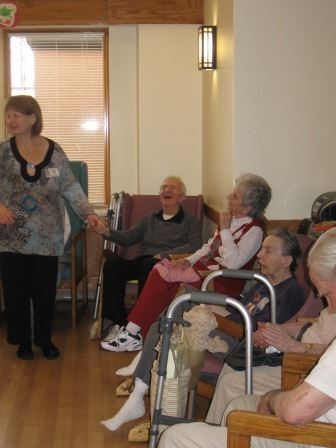 Depending on the patients level of function, there is an activity for them, even if for only a few minutes per day. When I visit Harris Hill, one particular woman with Alzheimer’s Disease is always carrying her baby doll in her arms being so attentive with such love in her eyes. The parties and events are long processes with staff moving very slow. It is not the destination it is the journey. 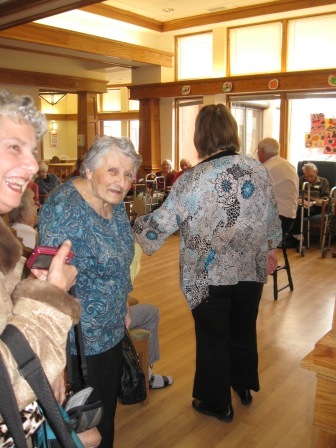 High strung people like myself have to slow down and enjoy the talk, dance and smiles of the residents who think they have known you all of their lives. Find out what kind of activities are offered when you are selecting your loved ones new home. The disease may bring out new personality traits and hidden talents, which are just a moment away of being revealed to you. We are looking for a monthly papercrafting location in the Greensboro, NC for a workshop to meet on the 3rd Friday of the month from 5-11PM. This would be added exposure for your facility where workshops will be photographed and posted on Just a Cloud Away, Inc. ™ Journal’s Blog. 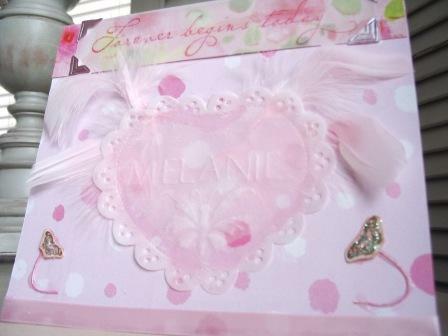 The workshops will reach out to community members wanting to learn how to compose keepsakes of loved ones, pets or baby’s gone too soon in the form of journal books, scrapbooks, collages, cards and more. Just a Cloud Away, Inc.™ Journal and Diana Digs Dirt , engaging Alzheimer Patients in projects with minimal stress and optimal enjoyment for residents, caregivers and staff, including facilities and in private homes. 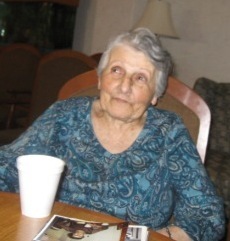 Often it’s hard to know just how to react and interact with Alzheimer’s patients. With a little knowledge, consistent practice, and lots of patience, daily life for the patient and caregiver can improve. Just remember to keep activities simple, to provide a routine, and to individualize the activities according to the patient’s interest and abilities. You and the Alzheimer’s patient will be rewarded for your efforts. 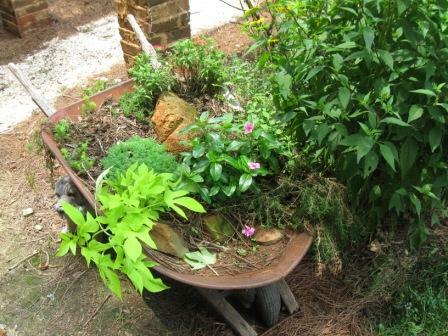 Gardening is another simple, effective and meaningful activity. 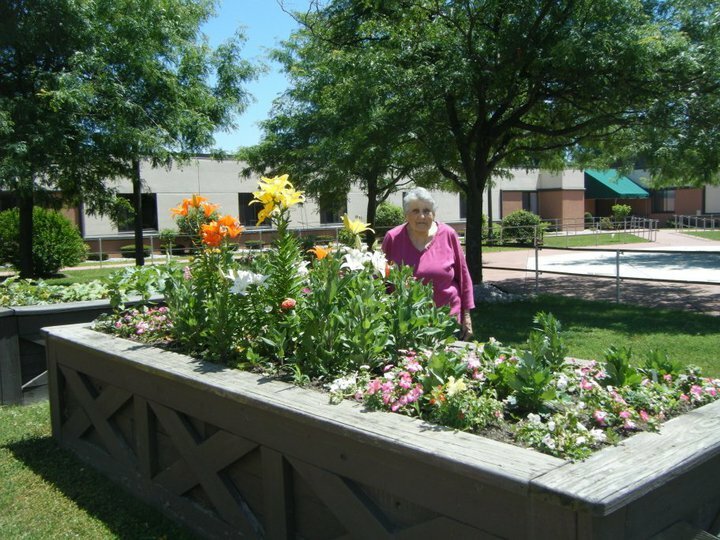 Gardens can help patients feel connected to nature and to life, whether they can actively participate in the preparation and cultivation of the garden or simply be observers of the wonders of nature. Exposure to nature’s sights, sounds, smells and physical sensations can be noticeably beneficial to a patient’s spiritual, psychological, social and physical health. The idea is to engage the senses and provide a connection to the creation and growth of living things, mentioned by Sandra Webber. Simple crafting in a Malaysia Alzheimer facility creates an atmosphere with a greater sense of peace for residents, caregivers and staff. 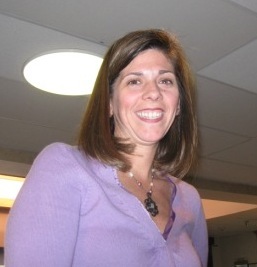 Please contact Diana (@) justacloudaway.com for activity scheduling. All materials, supplies and tools are provided. Click, to view a past workshop. Alzheimer’s Disease is the most common form of demetia in people 65 years and older and every 70 seconds, someone is diagnosed with the disease. 5.3 million American’s and their families are touched by Alzheimer’s Disease. Brain Food Facts:Studies carried out by Norwegian researchers found that the flavonoids in cocoa increase blood flow to the brain and may help to protect against conditions with reduced cerebral blood flow like dementia and stroke. To get the most benefits, buy chocolates with low sugar but high cocoa content (70% or more is the best like these 80% organic extra dark chocolates from Vital Choice).However, while cocoa is rich in beneficial compounds, it’s also high in saturated fats. Many times, it’s also paired with high-fat ingredients like full cream in desserts. So it’s best to keep dark chocolate to a small once-a-week treat.Alternative Foods for the Brain:Flavonoids can be found in practically all fruits, vegetables, herbs and spices. A good rule of thumb is that the more colorful a fruit or vegetable is, the higher the levels of flavonoids. Some flavonoid-rich foods that have been studied intensively include red wine, green tea and cherries which will be discussed in detail below. Green tea is rich in a type of flavonoid known as catechins which can reach as high as 1 gram in a single cup. Numerous studies have attest to the health beneficial properties of green tea including its ability to cut the risk of cancer as well as neurodegenerative diseases. Its ability to keep weight in check also makes green tea a popular choice in many health promoting diets. Brain Food Facts:Researchers in the Oxford Project to Investigate Memory and Aging (OPTIMA) found that elderly adults with low vitamin B12 levels had more than four times the usual risk of Alzheimer’s. It’s thought that when vitamin B12 levels are low, blood levels of homocysteine will raise, significantly increasing the risk for dementia, heart attack ad other ailments. To get a healthy dose of vitamin B12, look no further than clams. This shellfish packs a whopping 98.9mcg of vitamin B12 in just 100g serving, or 1648% of the RDA.Alternative Foods for the Brain:Rich sources of vitamin B12 are found in seafood and animal sources including oysters, mussels, fish, shrimps, scallops, liver of most animals and beef. Lower levels of vitamin B12 can also be found in seaweeds, yeasts and fermented foods like miso and tempeh. Brain Food Facts:A Korean study published in 2008 found that individuals who were folate deficient were 3.5 times more likely to develop dementia. What’s more surprising is that those who were not folate deficient but had low folate measures were also at significantly increased dementia risk. To make sure you get sufficient folate, make asparagus a frequent addition to your meals since one cup of these green spears will fulfill nearly 66% of your daily folate needs.Alternative Foods for the Brain:Other great sources of folate include citrus fruits, beans (be sure to sprout them to maximize their nutrients and enhance absorption by the body), broccoli, cauliflower, beets, lentils and leafy green vegetables such as spinach and turnip greens. Brain Food Facts:According to a study conducted by Tufts University in Boston, subjects who consumed an average of three servings of oily fish a week had almost 50 percent lower risk of Alzheimer’s disease and dementia. These individuals had significantly higher levels of omega-3 fatty acid docosahexaenoic acid in the blood than those who took less fish in their diets. And salmon is an excellent source of omega-3 essential fatty acids as well as other important nutrients such as vitamin D and B12 that can help to prevent neurodegenerative disorders.But, as wild caught salmons, frozen or canned, generally contain more omega-3, less omega-6 and fewer toxins, you’re better off buying the wild version whenever possible. Aim to eat at least two to three servings of oily fish each week to supply your body with inflammation-fighting compounds. If you’re concerned about environmental toxins such as PCB in seafood, you can also consider taking whole fish oil supplement derived from wild salmon.Alternative Foods for the Brain:Anchovies and sardines are also very good sources of omega-3 fats. For people who don’t eat fish, walnuts, flaxseeds and dark green leafy vegetables are rich in plant-based omega-3 precursor, alpha-linolenic acid (ALA). But they lack eicosapentaenoic acid (EPA) and docosahexaenoic acid (DHA), the two primary omega-3’s. Although technically ALA is converted by the body to EPA and DHA, in reality, the conversion rate is very low (only about one to two percent) and is further reduced if your omega-6 intake is high. So relying solely on walnuts, flaxseeds and dark green leafy vegetables may not provide your body with adequate omega-3 fats. In this case, you can boost your omega-3 intake either by selecting more EPA and DHA-fortified foods, take vegan omega-3 supplements, or both. Though the exact mechanism of how walnut improves cognitive function is unclear, most doctors and nutritionists recommend eating a wide range of food, including nuts. So don’t stop at walnuts. Each day, grab and enjoy a handful of mixed nuts, dried fruits and seeds — like hazelnuts, pecans, pistachios, raisins, dried cranberries and blueberries — to get a spectrum of health-boosting nutrients each day. Brain Food Facts:Scientists found that the antioxidant compounds, anthocyanins, which give cherries their bright red color possess anti-inflammatory properties that could work like pain medications such as Vioxx and Celebrex, but without the nasty side effects. Non-steroidal anti-inflammatory drugs or NSAIDs can cause adverse effects, some of which are severe like stomach bleeding and heart attack, especially among the elderly. But cherries do not irritate the stomach the way manufactured drugs do and they also contain compounds that keep platelets in the blood from clumping together.Alternative Foods for the Brain:Berries like blueberries, raspberries and strawberries are jam-packed with antioxidants and anti-inflammatory phytochemicals that help to reduce brain inflammation and brain oxidative stress, both of which have been associated with dementia and Alzheimer’s. Brain Food Facts:Plaques in the brain are thought to contribute to the degradation of brain cells and lead to Alzheimer’s disease. A study found that curcumin in turmeric is an effective substance that removes plagues from the brain. Turmeric, a top anti-inflammatory food used since ancient times, is commonly used as a spice in curry dishes. Countries with populations that eat curry regularly, such as India, have been observed to report lower rates of dementia. Add this inexpensive, versatile spice into your meals at least once a week to cool inflammation and ward off dementia.Alternative Foods for the Brain:Ginger is a close cousin of turmeric with similar anti-inflammatory properties. Though study on its effect on the brain is limited, ginger’s ability to reduce inflammation may also confer some inhibitory effect on dementia indirectly. A Boeing 747-400 passenger jet can hold 416 passengers. This blog was viewed about 4,800 times in 2010. That’s about 12 full 747s. In 2010, there were 51 new posts, growing the total archive of this blog to 71 posts. There were 377 pictures uploaded, taking up a total of 105mb. That’s about 1 pictures per day. The busiest day of the year was November 8th with 90 views. 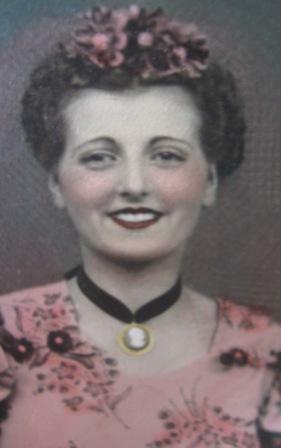 The most popular post that day was My Grandmother Didn’t Remember Me. The top referring sites in 2010 were facebook.com, shivere.wordpress.com, en.wordpress.com, mail.yahoo.com, and justacloudaway.com. Some visitors came searching, mostly for angelversary poems, funeral photography, infant loss photography, infant death photography, and funeral flowers.